China is to set up an anti-terrorism alliance with Pakistan, Afghanistan, and Tajikistan, state media said on Thursday, as it seeks to boost coordination with neighbors to tackle what it says is a growing domestic militant threat. Fang Fenghui, a member of the powerful Central Military Commission which controls China's armed forces, hosted a meeting with his counterparts on Wednesday in Urumqi, capital of the western Xinjiang region, where officials say they are battling Islamist militants. The four countries recognized the serious threat of terrorism and extremism to regional stability, the official Xinhua news agency said, and they agreed to set up a "four-country mechanism" for intelligence sharing and training. "All parties reaffirmed they will cooperate to respond to these forces, and safeguard all member countries' peace and stability," Xinhua said. Afghan army chief of general staff, General Qadam Shah Shaheem, Pakistani army chief General Raheel Sharif, and the Chief of General Staff of the Tajikistan armed forces, Major General E. A. Cobidrzoda, took part in the talks, the news agency said. *** A secret group bought the ingredients for a dirty bomb — here in the U.S. The clandestine group’s goal was clear: Obtain the building blocks of a radioactive “dirty bomb” — capable of poisoning a major city for a year or more — by openly purchasing the raw ingredients from authorized sellers inside the United States. It should have been hard. The purchase of lethal radioactive materials — even modestly dangerous ones — requires a license from the Nuclear Regulatory Commission, a measure meant to keep them away from terrorists. Applicants must demonstrate they have a legitimate need and understand the NRC’s safety standards, and pass an on-site inspection of their equipment and storage. But this secret group of fewer than 10 people — formed in April 2014 in North Dakota, Texas and Michigan — discovered that getting a license and then ordering enough materials to make a dirty bomb was strikingly simple in one of their three tries. Sellers were preparing shipments that together were enough to poison a city center when the operation was shut down. The team’s members could have been anyone — a terrorist outfit, emissaries of a rival government, domestic extremists. In fact, they were undercover bureaucrats with the investigative arm of Congress. And they had pulled off the same stunt nine years before. Their fresh success has set off new alarms among some lawmakers and officials in Washington about risks that terrorists inside the United States could undertake a dirty bomb attack. Al-Qaeda and the Islamic State of Iraq and al-Sham (ISIS) are competing with each other for recruitment on the South Asian subcontinent. As has been the case in other regions where radical Islamists have congregated (including Afghanistan, Iraq and Syria), jihadi recruitment in the region covering Pakistan, India and Bangladesh is aided by competing claims of divine support. Radical Islamists invoke the Hadith (the oral traditions attributed to the Prophet Muhammad) to prophesize a great battle in India between true believers and unbelievers before the end-times. These references in the Hadith to the Ghazwa-e-Hind (Battle of India) infuse South Asia with importance as a battleground in the efforts to create an Islamic caliphate resembling the social order that existed at the time of the Prophet Muhammad and the Rightly Guided Caliphs (632-661 AD). The South Asian region has a long history with jihadi movements, dating back to the eighteenth century. During the 1980s, it became the staging ground for global jihad as part of the internationally-backed guerilla war against the Soviet Union in Afghanistan. At the time, radical Islamists poured into Afghanistan through Pakistan and received advanced military training to fight the Soviets. Later, many returned to their home countries to conduct terrorist attacks. The rise of the Taliban in Afghanistan and the Pakistan-backed insurgency in Kashmir against India also stoked jihadism in the region. The first generation of al-Qaeda commanders and ideologues were veterans of the anti-Soviet Afghan war. ISIS, too, has been influenced greatly by the so-called Arab-Afghans and their disciples. During the war against the Soviets and the ensuing Taliban rule, ancient prophecies of Khurasan – which includes modern Afghanistan – resurfaced to inspire jihadists and promise great heavenly rewards. These prophecies foreshadowed the appearance of the Mahdi or Messiah and the final battle between good (pure Islam) and evil before judgement day. According to one Hadith, an army with black flags would emerge from Khurasan to help the Mahdi establish his caliphate at Mecca. The Pentagon has withheld $300 million in military assistance to Pakistan, U.S. officials said Wednesday, a potential blow to U.S.-Pakistani ties and a sign of ongoing frustration with Islamabad for not acting against militants fueling violence in Afghanistan. Adam Stump, a Pentagon spokesman, said that Defense Secretary Ashton B. Carter had decided against making a certification to Congress stating that Pakistan is taking sufficient action against the Haqqani network, a Taliban affiliate blamed for attacks on U.S. and allied personnel in Afghanistan. Stump said the decision, which means Pakistan will not receive $300 million in military reimbursement funding, was based on the continuing operations of the Afghan Taliban and Haqqani militants on Pakistani soil. The move ends a year of speculation about an aid program that has been fundamental to Pakistani military operations, and reveals the strains in Washington’s relations with an ally that many officials have accused of double-dealing with militant groups. The decision comes as the Obama administration grapples with deteriorating security in Afghanistan, where a resurgence in Taliban activity has derailed plans to definitively end the long military effort there. Over the last few decades, the Indian Army has become the second-largest in the world and would continue to expand in next few years as India prepares itself for the two-front war against China. The story is the same for the Indian Air Force, which is world's fourth largest with over 600 fighter jets and a modern fleet of transport planes, unmanned aerial vehicles and helicopters. Though the size of the forces had expanded, their management in the defence ministry had remained under a single person, the joint secretary (Ground and Air), making it difficult for the officer to focus properly on both the forces. The role of China in India-Pakistan security issues as well as in future conflict scenarios is crucial when considering two factors- (a) the historical nature of 1962 war and its follow up between India and China, and (b) the overt political and military alliance between Pakistan and China. Indian analysts often cite transfer of nuclear and missile technology on a regular basis from Beijing to Islamabad as evidence of an encircled threat to India. Through nuclear and missile technology transfers to Pakistan, Beijing restricts Indian capability to the South Asian strategic box and this constrains New Delhi’s stated desire to seek a more global presence. From the Chinese political establishment’s perspective, the concern is over India’s robust defense expansion with Agni-V missile and its 5,500-5,800 km range that has the capacity of reaching Beijing and the mainland of China, its desire and movement toward a stronger and more assertive regional and global role as is reflected in Modi’s foreign policy, and its increasing strategic partnership with Washington including the historic Indo-US civil nuclear deal. Thus, any examination of the South Asian proliferation framework takes into account the Sino-Indian rivalry and lingering dispute, the lowest point of which was the 1962 border war. In contemporary times, senior ministers in Indian Government and political establishment such as George Fernandes in 2008 has termed China as potential threat number one and warned the government in power in Delhi not to get bullied by China. According to Fernandes, India was encircled by Chinese military and naval activity and called for “tough decisions” to counter the potential threat from China and be prepared for any eventuality. Similarly, another political stalwart, Mulayam Singh Yadav in 2013 attacked the Indian government over the incursion of Chinese troops in Ladakh, accused it of being “cowardly and incompetent,” and warned that China “is the biggest enemy”. In recent years, Indian and Chinese leaders and special representatives have met for regular talks on the border dispute issue. In early rounds of these talks, China granted de facto recognition of Sikkim as a province of India, while India accepted Tibet as part of China. How Can We Create 50 Million Jobs In The Next Decade? A quick summary of all the sessions that happened during Day One of the Swarajya — Indic Academy India Economic Seminar. Between 30-31 July, Swarajya— in collaboration with the Indic Academy and Public Policy Forum of IIM-Bangalore— organised the India Economic Seminarwhich had sessions on specific themes of economics such as political reforms, taxation and public-private partnership. The seminar took place at the IIM-Bangalore campus. Several participants attended the event with the attendees being from, and outside, IIM-Bangalore. The seminar was anchored by the head of Indic Academy’s ‘Indian Economic Studies’, Dr V. Anantha Nageswaran who was also the first one to give a presentation on India’s growth prospects. Dr Nageswaran was followed by Mukul Asher, Seetha and Manish Sabharwal among others. Good Morning, Swarajya Readers! Here’s Everything You Need To Know About The GST Bill. Yesterday late night, the Rajya Sabha, the house of elders, true to its name, rose above the petty political squabbles and delivered a high-quality debate on the Goods and Services Tax (GST) bill and passed it by an overwhelming majority. Achieving this feat in a noisy multiparty democracy like India and convincing more than 30 administrations across the country to give up their autonomy to a large extent on taxation is truly remarkable. The GST is the greatest tax reform ever attempted by India, started by AB Vajpayee, pursued by Manmohan Singh, and now brought to fruition by Narendra Modi. Lt General Kodendera Subayya Thimayya, Chief of the Army Staff was elevated to the substantive rank of a General. Jawaharlal Nehru, Defence Minister VK Krishna Menon and Majithia Deputy Defence Minister are seen in this file photo with General Kodendera Subayya Thimayya at the function. The Indian army experienced its worst ever defeat during the Indo-China conflict of 1962. This excerpt from Shiv Kunal Verma’s thoroughly researched book shows how Nehru and Krishna Menon conspired to discredit General Thimayya, setting in motion a chain of events that contributed to India’s rout in the Himalayas. The political manoeuvring by Gandhi in 1938 to sideline Subhas Chandra Bose in the presidential race of the Congress Party virtually handed Nehru the prime ministership of independent India. Bose was perhaps the only Indian political leader who understood the significance of armed power as an instrument of state policy while being aware of modern politics. With Bose’s exit and Sardar Patel’s death in 1950, there was no one who could provide the necessary inspiration for the reconstruction of an army (that had so far served British interests) into an integrated military instrument that could identify potential threats and tackle them militarily. Nehru, unlike Bose and Patel, veered away from building military power. Although, when cornered, he was not averse to using it—as in the case of Kashmir in 1947-48 and then Goa in 1961—for the most part, he talked disarmament, non-alignment and Panchsheel. In a speech delivered at the Kerala Provisional Conference in 1928, Nehru had spelt out his international assessments: ‘No danger threatens India from any direction; and even if there is any danger we shall cope with it.’ No surprise then that when the first Commander-in-Chief of the Indian Army, General Sir Rob Lockhart, went to Nehru with a formal defence paper that needed a policy directive from the prime minister, Nehru had exclaimed: ‘Rubbish! Total rubbish! We don’t need a defence policy. Our policy is ahimsa (non-violence). We foresee no military threats. As far as I am concerned you can scrap the army—the police are good enough to meet our security needs.’ It’s a different matter that Nehru had to eat his words by the end of October 1947 itself when the tribal hordes invaded Kashmir. U.S. Defense Secretary Ash Carter holds a news conference at the Pentagon in Arlington, Virginia August 20, 2015. The Pentagon will not pay Pakistan $300 million in military reimbursements after U.S. Secretary of Defense Ash Carter decided not to tell Congress that Pakistan was taking adequate action against the Haqqani network, a U.S. official said. Relations between the two countries have been frayed over the past decade, with U.S. officials frustrated by what they term Islamabad's unwillingness to act against Islamist groups such as the Afghan Taliban and the Haqqani network. "The funds could not be released to the Government of Pakistan at this time because the Secretary has not yet certified that Pakistan has taken sufficient action against the Haqqani network," Pentagon spokesman Adam Stump said on Wednesday. The $300 million comes under the Coalition Support Fund (CSF), a U.S. Defense Department program to reimburse allies that have incurred costs in supporting counter-terrorist and counter-insurgency operations. Pakistan is the largest recipient. "This decision does not reduce the significance of the sacrifices that the Pakistani military has undertaken over the last two years," Stump said. The Chinese developer of the Colombo Port City Project has agreed to withdraw all the compensation claims for losses incurred due to the suspension of the project by the Sri Lankan government last year. "In view of the goodwill created by the visits of His Excellency the President and the Hon. Prime Minister to China, the project company has agreed to withdraw all compensation claims for losses incurred due to the suspension of the project caused by the failure of the previous administration of the SLPA to obtain the required environmental permits," a cabinet memorandum says. The current Sri Lankan government on 6th of March 2015 temporarily suspended the US$ 1.4 billion Colombo Port City project, launched by the previous government in partnership with China in September 2014, due to the environmental issues and called for a comprehensive environmental impact assessment. The Chinese developer, China Communication Construction Company (CCCC) said the suspension costs the firm an estimated US$ $380,000 per day and claimed US$ 143 million in compensation for delaying the project. In March this year, the government officially informed the Chinese investors of resuming the construction of the multibillion dollar project after the environmental impact assessment (EIA) gave clearance. The past several months have seen a significant elevation of tensions in the western Pacific. The biggest event was probably the Permanent Court of Arbitration (PCA) findings, which overwhelmingly favored the Philippines, the claimant, in its disputes with the People’s Republic of China regarding the South China Sea. Yet as important, if less noticed, was the suspension of all formal communications between China and Taiwan’s government. After an eight-year period of relative tranquility in the Taiwan Straits, it appears that cross-straits tensions will soon be on the rise again. Indeed, these two events in combination are likely to significantly raise tensions from the Senkaku Islands to the Straits of Malacca. Beijing suspended formal cross-straits communications in reaction to the new government in Taipei, as the Chinese leadership is intent on bringing this new government to heel. With the inauguration of Tsai Ing-wen, Taiwan saw the fourth democratic transition in the island’s leadership since the end of martial law in the 1990s. Tsai, head of the Democratic Progressive Party (DPP), had already scored a major victory over the Kuomintang’s (KMT) Eric Chu in presidential elections this past January. Riding Tsai’s momentum, the DPP also won enough votes to secure control of the Legislative Yuan, Taiwan’s legislature, reflecting broad public support for the party. Since a key raison d’etre of the DPP is a belief in Taiwanese independence (along with progressive social policies), tensions with Beijing are often focused on whether Taipei will push for independence from Beijing. But the rancor between the two sides of the Straits predates the return of the DPP to power. Instead, it has roots in the five decades between the waning days of imperial China and the end of the Chinese Civil War in 1949. On July 12, China lost the UNCLOS decision regarding its territorial claims in the South China Sea. These were categorically rejected, as could well have been anticipated years ago. For example, China’s base at Fiery Cross Reef is 630 miles from Hainan Island and nearly at the southern tip of Vietnam. In addition, China’s mooted base at Scarborough Shoal is a mere 150 miles from Manila, while it is 530 miles from China proper. That China would lose this ruling could be foreseen from a very long distance. Now China faces the question of how to respond. Beijing has indicated that it will continue with its island building program and reject the UN ruling. Over time, this would provide China will increased leverage to institute an air defense identification zone (ADIZ) in the South China Sea. This implies that China would challenge—and by extension, engage with force—any foreign military aircraft or vessel encroaching on this space that fails to identify itself to Chinese authorities. It also implies the material annexation of the South China Sea. Nevertheless, with the UNCLOS ruling, the United States and other major powers will not honor any China ADIZ in the area. Thus, the declaration of an ADIZ in the South China Sea would be tantamount to a decision to go to war with the United States, and possibly other countries as well. The appeal of this option is rapidly fading, as India and France have also committed to freedom of navigation exercises in the SCS. Does China really want to take on the combined navies of the advanced nations? It hardly seems plausible, and any decent analysis even two years ago would have suggested China would eventually face such an unappetizing option. While there are many reasons the United States should ratify UNCLOS—which we strongly support—gaining an advantage in the South China Sea is not one of them. First, while the United States has a strong interest in peaceful resolution of competing territorial claims in the South China Sea, it is not itself a claimant, and thus UNCLOS would provide no additional tools for the United States to use in addressing disputes in the South China Sea. While U.S. ratification of UNCLOS would allow U.S. nationals to serve on arbitration panels, such representatives are expected to exercise independent reasoning and do not take instructions from member governments. Is the Rest of the World Ditching America to Trade With China? We’ve reached a critical juncture for the future of free trade, and America’s role in shaping it. But the United States is stepping away—or at the least threatening to step away—from the global economy at precisely the incorrect moment. A retreat from global trade, accompanied by threats of sanctions and fines, would do far more damage to the image and trustworthiness of America than anything else. With U.S. legitimacy and stability in question, China and others may be seen as viable alternatives to a tumultuous United States. The simple truth of global trade is that the United States is not the only game in town. As the second largest economy in the world, other nations already have plenty of incentive to engage in trade negotiations with China. The Chinese, in support of their “One Belt, One Road” initiative, have begun to build institutions similar to Western ones to encourage trade and investment. Granted, the United States remains the dominant economy. But others are catching up and becoming increasingly critical to the growth of the global economy. China and India contribute more to global growth than the West. With the United States and EU combining optimistically for 25 percent of global economic growth, China and India will be closer to 45 percent. Access to a combination of China and India could soon be more tempting than access to a politically volatile United States. After a period of strategic drift, the U.S.-Japan alliance has been reconfirmed as the cornerstone of regional security under an Abe administration committed to moving Japan to the front of the global stage. This reinforcing of the alliance, exemplified by the revision of the U.S.-Japan Defense Guidelines, is boosted by an array of Japanese national-security reforms that include reinterpretation of the constitution to allow for collective self-defense and the removal of the longstanding arms-export ban. While such developments reflect the ideological bent of the Abe government, they are rooted in a competitive security environment and, in particular, the rise of China. The challenge of China’s rise to Asia’s security has been most evident in the maritime sphere. Japan has had to bear much of the burden in responding to growing Chinese assertiveness in the East China Sea, culminating in Beijing’s declaration of an Air-Defense Identification Zone (ADIZ) over Japan’s territorial waters. Ultimately, however, the contest in the East China Sea has demonstrated the significance of Asia’s most important alliance, as exemplified by Beijing’s apparent moderation following President Obama’s commitment to defend the Senkaku Islands. The relative deterrent success of the U.S.-Japan alliance in the East China Sea has, in relief, made clear the difficulty of arresting Chinese assertiveness in the more actively contested and less effectively defended South China Sea. Despite efforts by claimant states to utilize all of the national-security tools at their disposal, from increased defense spending to international arbitration, China’s regional rivals have not arrested Beijing’s efforts to turn Southeast Asian waters into a Chinese lake. Over the decades, China scholars in the United States, Taiwan and China itself have spilled rivers of ink parsing official and unofficial statements from the three countries to assess the direction of cross-Strait relations. Year after year, they compare and contrast every utterance and every article to discern nuance, shaded meanings, perceptible shifts in position, potential meetings of minds, or threats of conflict. Was Tsai Ing-wen being flexible or obdurate in her inaugural address? Did Xi Jinping’s issue a “stern warning” to Taiwan? Had Wang Yi offered a path to accommodation? Did Li Keqiang brandish trade as an inducement or a threat? Was Sun Yafu seeking compromise or confrontation? How did U.S. officials interpret this or that phrase spoken by one or another official on either side of the Strait? And how did all these recent statements relate to those made last year, or ten years ago, or in 1992? The central bank has eased interest-rate regulations. To take advantage of the change, institutions must adopt smarter pricing strategies. With a single regulatory change in 2015, the People’s Bank of China put pricing at the forefront of strategic concerns for the country’s financial sector. Traditional profit and revenue models were threatened as the central bank took one of the final steps in reforming interest rates—eliminating the ceiling on interest rates for deposits—and opened up the industry to more intense competition based on price. The People’s Bank itself called this step the riskiest move in the whole reform effort. Under China’s previous regulatory regime, banks generally neglected pricing capabilities and strategies. Small and midsize institutions usually based interest rates mechanically on bands published by the central bank or on the rates offered by China’s largest state-owned banks. The way institutions respond to a liberalized pricing environment will play a significant role in their growth prospects, especially in light of the industry’s other disruptions, such as slower macroeconomic growth and higher levels of nonperforming loans. Banks that adapt to the new regime quickly and decisively could capture huge benefits: for example, McKinsey analysis suggests that revenues could increase by 6 to 15 percent under modern pricing strategies (exhibit). Much of this improvement would come from better lending practices and the optimization of fees; benefits would accrue as well from reducing price leakages and adjusting deposit list prices. Modern pricing strategies can also create closer relationships with core customers—a critical advantage in a more competitive environment—and improve performance throughout the organization. Don’t hate Islam. Critique it. Who does not recall the early 2015 slogan “Je suis Charlie” taking social media by storm, galvanizing the world in solidarity following the ISIS massacre of twelve cartoonists and staffers of the French satirical weekly Charlie Hebdo? And who has not, even in a mere flash of compassion, displayed the various sad iterations of “Je suis Charlie” in subsequent months, on the heels of additional—lewder, more brazen—orgies of carnage perpetrated by votaries of ISIS? Yet, even as “Je suis Paris,” “Je suis Bruxelles,” “Je suis Beirut,” “Je suis Orlando,” “Je suis Nice” and suchlike came to define our modern times’ indignation in the face of depravity, they also illustrated puzzling indolence, impotence, disorientation and aphasia before a millenarian, apocalyptic malady that many remain ill prepared to call by name—let alone combat and maim. Then came the July 26, 2016 slaughter of a geriatric French priest, on the altar of his church, in the Norman city of Rouen in northern France; a dreadful deed, yet one barely meriting mention, let alone drawing spates of outrage and media brouhahas accorded earlier feats of religious barbarity. Even an otherwise spunky, unvarnished, straight-talking pope would remain speechless at this horror when his pastoral duty might have required he spoke. And so, “Je suis épuisé,” “I am exhausted,” seems to have become the meme of choice; the times’ appropriate, diffident, politically correct response to an abomination otherwise better left euphemized, exorcised, placated, unnamed. Yet it is precisely this form of resignation that leads to the victory of a radical Islamist party in the 2022 French presidential election in Michel Houellebecq’s dystopian novelSoumission. In Houellebecq’s narrative, the French Muslim Brotherhood’s Mohammed Ben Abbes clinches the presidency by upholding retrograde, misogynistic, patriarchal, archaic ultraconservative values, and squashing the right-wing National Front party in a brief “civil war” (with the help of the “progressive,” “enlightened” rabidly secular Socialist Party), transforming France and Frenchness into an unimaginable, degraded state of being. Britain is entering a period of increased uncertainty and political change which could have far reaching implications for its relations with Europe and ultimately the Atlantic Alliance. The Brexit referendum calling for the UK to leave the EU unleashed one of the most chaotic and serious political crises in the postwar period in Britain. Fortunately, the Tory Party’s rapid selection of former Home Secretary Theresa May to replace David Cameron as prime minister has enhanced the prospects that the divorce from the EU can be managed in a mutually productive fashion. A tough negotiator, Prime Minister May has a reputation as a moderate and a pragmatist more interested in achieving concrete results rather than political grandstanding. In the weeks since assuming the post of prime minister she has moved swiftly and decisively to assemble a new cabinet and put her stamp on foreign policy. Reducing immigration will be at the top of her list of priorities in the withdrawal negotiations. However, May has yet to fully clarify where she stands on the issue of restricting freedom of movement of European citizens across national borders – a fundamental EU principle – while maintaining a degree of access to the single European market. She has said limits on movement would be obtained as part of future negotiations with the EU. This is likely to be one of the most difficult and contentious issues. The EU officials have warned British leaders that they cannot expect to have all of the economic benefits of membership without sharing some of the risks of immigration. The new government’s defense policy has been marked by continuity. It reaffirmed the Cameron government’s commitment to building a follow on to the Vanguard submarine fleet armed with Trident II missiles – the core of the UK independent nuclear deterrent. Ordinary people across the former Soviet Union have a more nuanced view of the past than you'd expect. A brutally honest collection of these human voices compose the majority of Alexievich’s latest book, Secondhand Time: The Last of the Soviets(translated into English by Bela Shayevich). Described as “an oral history,” Alexievich rarely injects her own commentary into the stories, with the exception of an introduction, explanatory footnotes, and clarifying parentheticals. As in her other works, Alexievich has cobbled together a series of diverse tales of the everyman, allowing the uninitiated to sit down, lean in, and listen with the author. Thus Alexievich is able to present those she interviews without detached biographical sterility: rather, as in any oral history, raw emotion and the idiosyncrasies of memory are on full display. Through her conversations with ordinary post-Soviet people, Alexievich seeks to explore “Homo sovieticus,” the species arising from “seventy-plus years in the Marxist-Leninist laboratory.” They are “both like and unlike the rest of humanity,” Alexievich muses, for she is one of them. “[We] have our own lexicon, our own conceptions of good and evil, our heroes, our martyrs. We have a special relationship with death… At heart, we’re built for war… We’ve never known anything else.” Her book examines the curious and often confused relationship of Homo sovieticus to the post-Soviet world. “No first use” makes no sense. A recent article in the Washington Post disclosed the White House’s evident determination to implement new nuclear policies in the final months of the Obama presidency to add to his disarmament legacy. The president declared in his 2009 Prague speech his determination to seek the “peace and security of a world without nuclear weapons.” However, one of the proposals being seriously considered is to declare “no first use” (NFU). This is unwise, inherently dangerous and could very well have the opposite effect by substantially weakening the ability of the United States and its allies to effectively deter aggression. Shortly after taking office, the Obama administration conducted a Nuclear Posture Review (NPR) in which it specifically rejected NFU primarily on the basis of a potentially devastating biological attack but also because the security environment was so precarious. If anything the situation is much more precarious today, particularly for our NATO allies facing intimidation and coercive tactics by a revanchist Russia. Likewise, our NATO allies are nervous over announcing a no first use policy in the face of Russian nuclear saber rattling—threatening first use of nuclear weapons in a conventional confrontation with NATO. Japan, understandably worried over the diminishment of the U.S. deterrence umbrella, has called for talks to voice their concerns. If the allies perceive such a shift of policy as a weakening of deterrence how could our adversaries, or the president for that matter, not? Proposals for NFU have been around for a long time. During the Cold War they were a recurring element of Soviet propaganda. Russia, unlike the Soviet Union, has rejected a no-first-use policy, no doubt because of its inherent unverifiability and the fact that it was a chimera. It was later discovered after the Soviet Union’s collapse that the Warsaw Pact, even though it enjoyed conventional superiority, had first-use operational war plans calling for the massive use of nuclear and chemical weapons on the first day of conflict with NATO forces. Let’s be honest, Remainers badly needed a reason to smile after the Brexit referendum result. And the people of Cornwall provided one. 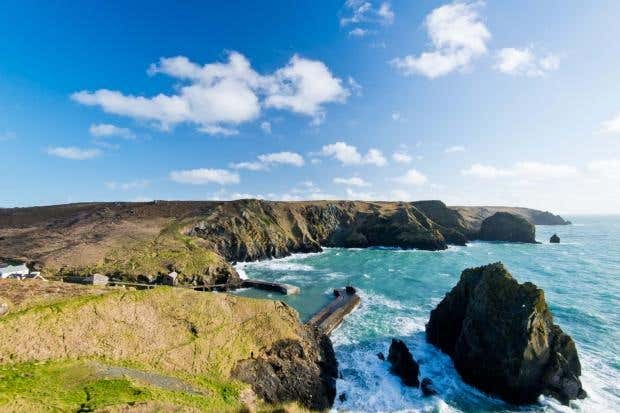 Despite voting overwhelmingly to quit the EU, Cornwall – a significant beneficiary of European Union funds over the past couple of decades – immediately demanded a Westminster guarantee of their European money. The day after the vote, Cornwall county council called for “urgent confirmation” of this cash from ministers, citing promises from the official Leave campaign that they would be no worse off if Britain voted to leave. Surprisingly, no such confirmation has yet been issued by Theresa May. Perhaps the Cornish should take it up with the Leave campaign leaders such as Boris Johnson, Michael Gove and Gisela Stuart. Or maybe they seek an urgent meeting with their local MPs, five out of six of whom recommended a Leave vote. Surely they’ll be good for the money? Or maybe not. For Cornwall council has also now insisted it will keep its lobbying office in Brussels – even after Britain leaves the EU. Brexit means Brexit? Not for Cornwall, apparently. Remainers, let it be stressed, cannot be accused of schadenfreude since, of course, they share the schaden of leaving the EU. Call it a wry sense of satisfaction that those who helped saw off the European branch are now also feeling the sudden jerk of gravity. Over the last several years, as western Europe has been hit by Islamist terrorist attack after Islamist terrorist attack, Germany has largely avoided the violence. But the refugee crisis and the rise of the Islamic State (or ISIS) seem to have broken Germany’s run of good fortune. In the span of one week in July, a 17-year-old Afghan asylum seeker attacked five train passengers with an ax in the Bavarian city of Würzburg; a Syrian asylum seeker exploded a bomb outside a music festival in another Bavarian city, Ansbach, wounding 15; an 18-year-old German of Iranian descent massacred nine people at a shopping mall in Munich; and a 21-year-old Syrian asylum seeker used a machete to murder a local woman in Reutlingen who had rejected his advances. The last two attacks had no apparent connection to foreign terrorist groups. But the succession of violent incidents, all linked in some way to the Middle East, has created a sense of siege. The United States has given, and will continue to give, significant support to its European allies as they investigate terrorist attacks and strive to disrupt future plots. Much of that help involves intercepting terrorists’ communications. And the bulk of that work is done by the National Security Agency (NSA). Yet many Europeans view the NSA as more foe than friend. This is a vestige of the 2013 revelations by the former government contractor Edward Snowden about the extent of the NSA’s surveillance activities, which provoked widespread outrage among European publics. The disclosures also left U.S. technology companies scrambling to reassure foreign customers that their products were not compromised by the NSA. Some European companies, hoping to win business, encouraged the belief that they were. When Russian Foreign Minister Sergey Lavrov was asked about Russia’s potential involvement in the recent hack of Democratic National Committee emails, he appeared genuinely surprised, just stopping short of giving a four-letter word in response. Indeed, the most amazing thing in this rapidly escalating showdown between Russia and the United States is that Lavrov was probably not acting. Apparently, he had not been consulted. Since the annexation of Crimea, something strange has happened in the Russian government’s handling of sensitive issues, both inside and outside of the country. Many Western diplomats noted that the Russian Foreign Ministry is no longer in charge of defining policy for Ukraine or Syria. Inside of the country, meanwhile, Russian President Vladimir Putin has replaced politicians in key government offices with his own bodyguards. Regional governors are so stupefied by the purges the Kremlin started last September (there are already three governors under arrest) that they refrain from doing anything in the regions they are supposed to be in charge of. U.S. Democratic presidential candidate Hillary Clinton looks at a computer screen during a campaign stop at Atomic Object company in Grand Rapids, Michigan, U.S. March 7, 2016. Only Putin and his entourage can make decisions, and there always seems to be someone in the group with a ready solution when Putin faces another pressing issue. The more sensitive the matter for the Kremlin, the more drastic the ideas tend to be. The U.S. elections are the most sensitive of all. Democratic candidate Hillary Clinton is seen as a tough and uncompromising adversary. The common assumption is that with Clinton in the White House, sanctions on Russia will remain in place. The Kremlin also believes that Clinton, as secretary of state, supported the protests in Moscow in 2011–12. For Putin, this is reason enough to go on the offensive. As the recent hacks of the Democratic National Committee and presidential candidate Hillary Clinton’s campaign have shown, cyberwarfare has reached US shores – and it’s likely to get much worse, says Kenneth Geers, a senior research scientist with cyber security firm Comodo. Speaking to an audience at this year’s BlackHat security conference in Las Vegas, Geers declared cyberwar a real and present danger. For the past two years, Geers has been working with Nato, observing cyber warfare in Ukraine. At its Warsaw Summit in July, the international treaty organisation recognised cyberspace as “a domain of operations in which Nato must defend itself as effectively as it does in the air, on land, and at sea”. Using malware, denial of service attacks, website defacements and disinformation campaigns, Russia is waging a war just as real, if less deadly, than the one it waged with tanks in Crimea, he says. The Government Accountability Office (“GAO”) issued a decision that could be used by government agencies to support “all encompassing” RFPs, or RFPs that require one bidder to provide several products and services even if, in so doing, bidders that can provide one aspect of the RFP – but not all aspects of the RFP – are restricted from competing. In Matter of Palantir USG, Inc., Palantir, a provider of sophisticated commercial technology, argued that an Army procurement “unduly restricted competition” when it only allowed bidders that met all requirements of an extremely specific and detailed RFP to compete. The RFP was for a new computer system specially equipped for the Army. Palantir partially met the RFP’s requirements, but argued that the Army should have used a phased approach for its procurement. The phased approach would first open competition for purchase of the software platform to commercial providers like Palantir, and then a separate procurement would open competition for the service component of the RFP. Without a phased approach like this, Palantir and other commercial technology distributors would not be qualified to compete. Palantir asserted that the Army must comply with a federal statute that establishes a preference for acquiring common commercial items that are sufficient to meet the needs of a government agency. The federal statute was codified into the FAR, requiring that agencies use solicitation terms that closely resemble the commercial marketplace when procuring commercial items. The FAR further directs agencies to conduct market research before issuing an RFP to determine whether commercial items are available to meet the agency’s requirements. According to Palantir, it should have an opportunity to compete for the Army’s contract as it is a commercial supplier of a product that meets the Army’s specifications.